Can you eat Raw Ramen or Instant Noodles? 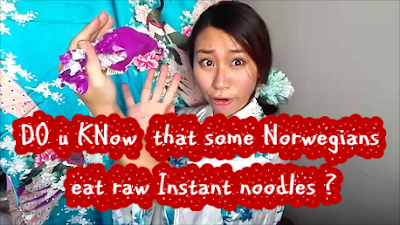 SO I found out that some Norwegians ate Raw Ramen or instant noodles when they were young!?? And then i wonder, how would it taste like and tried it out in this video too ! Watch all to see me challenging myself to eat instant noodle raw and my Kungfu Karate stunts ! Well, I don't think it's safe nor healthy so please don't eat Raw ramen alright !